LivON will continue the tradition of making March Colon Cancer Awareness month. Through social media, local events, fundraising, and word of mouth, LivON will educate about the symptoms and prevention of Colon Cancer. Join us for another great year of golf for a wonderful cause! Food, music, golf, prizes, and more! 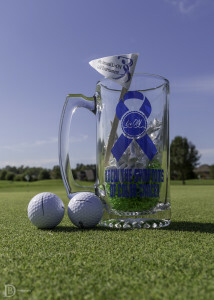 LIVON GOLF REGISTRATION FORM SEPT. 24th 1pm SHOTGUT START Heron’s Ridge Golf Club Virginia Beach, Va.
Join us for a great day of golf as we raise money for those battling colon cancer in Hampton Roads! Join us for a great event to spread awareness to the local community about Colon Cancer! Money raised will help the DSCC program provide financial support to those battling Colon Cancer! Join LivON as we educate thousands at the Shamrock Virginia Beach Expo. This wonderful event allows us to educate the “fit” people too! Know your body! Know the Symptoms! LivON! Join us for dinner at Il Giardino Ristorante in Virginia Beach on Monday, March 14th. 10% of all sales that night will go to LivON! Thank you for the continued support!